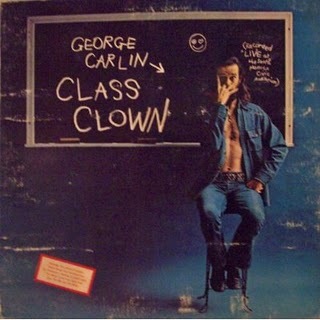 The late great GEORGE CARLIN is the featured comedian on Comedy Record today. 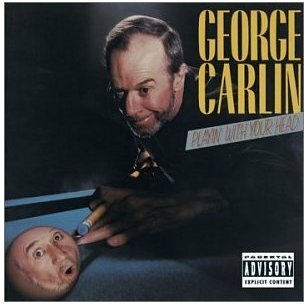 Three of his comedy album covers are shown here, as well as a video overview of his long, celebrated career. Click on the record covers to go to his page here on Comedy Record. Second video on this page crams 50 classic comedy albums into a few minutes (list must be by a Brit, since an unusually large number of British comedy albums appear). Third video here: Patton Oswalt live comedy at Amoeba Records LA. Patton's 2009 comedy album was nominated for a Grammy, but the award given out on Jan 31, 2010 went to that Christmas album by our fave faux right wing TV host, the comedian most central to Comedy Central's success, Stephen Colbert. 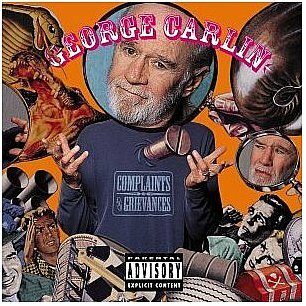 For a nice list of classic comedy records, click here (sounds like this guy sells them on vinyl or CD).